If the cats to be sterilized are too wild to be picked up and placed in a pet carrier for transport to a vet, then they must be trapped. 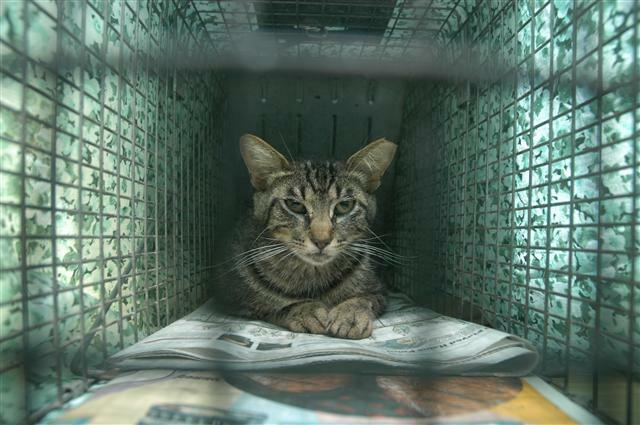 We provide advice on trapping; instructions are included in the Spay/Neuter package. We lend traps, when available, with a refundable deposit. When you have received your certificates, call (305)255-3482, press 1, to locate an available trap. NEVER release an unsterilized animal — it will be much more difficult to capture again at a later time. Each member who traps and alters a cat is responsible for its recuperation. 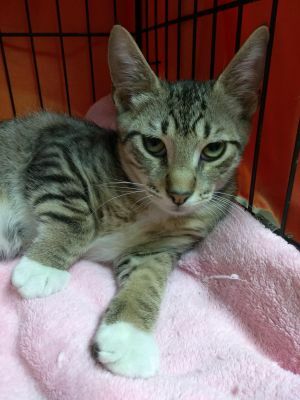 Both female and male cats may be released as early as 24 hours after surgery as long as they are alert and there appears to be no medical complications such as bleeding or swelling. However, if you can hold the female cat at least three days, it allows a longer time for the stitches to heal. A quiet environment or cage in a protected area is needed for recuperation. Cages and kennels are available on a limited basis with a refundable deposit through The Cat Network. You must provide your own food, dishes, litter and litter box. Call (305)255-3482, press 1 to locate an available recuperation cage or kennel. Do not attempt to trap a nursing mother with kittens that are less than 6 weeks old unless you plan to keep the mother and kittens together until the kittens are old enough to be adopted. A nursing female must have her milk dry up before spaying. Ideally, a nursing female should be given 7-10 days after her kittens are separated for her milk to dry. If this is not feasible, a lactating female may be spayed but there is a higher incidence of complications. At 4 weeks old, a kitten will just be starting to cut its teeth. The eyes will still be blue. A healthy kitten will weigh ~ 1lb. At 8 weeks old, a kitten will already have the back molars. The eyes will start showing adult color. A healthy kitten will weigh ~ 2 lb. 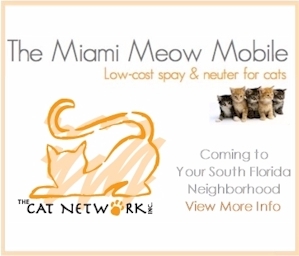 Some of the veterinarians in our program will spay and neuter kittens as young as 8 weeks; please refer to our vet list for specific clinics that provide early sterilization. All kittens should be spayed/neutered by the age of 4 months, especially the females who can go into their first heat before they are 5 months old!